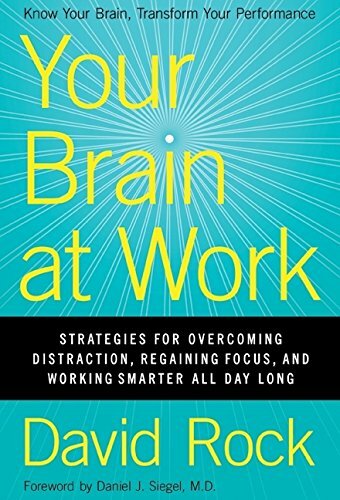 Your Brain at Work by David Rock, for me personally this was one of the most impactful books that I have read in the last decade. The reason for this is it takes a whole host of research and findings from the area of neurobiology over the last decade and it presents them into a very readable form, accessible to everyone. It is written in beautiful metaphors and stories in order to explain quite complex content. In its essence, it tells you how your brain works and how you can do things better, I think it is a life changing book.